It would appear that 2019 has got off to a flying start for those of us interested in copyright literacy (see here and here). We’re also looking forward to a number of events where we will present findings from our recent research as well as find out the latest thinking and developments from others. 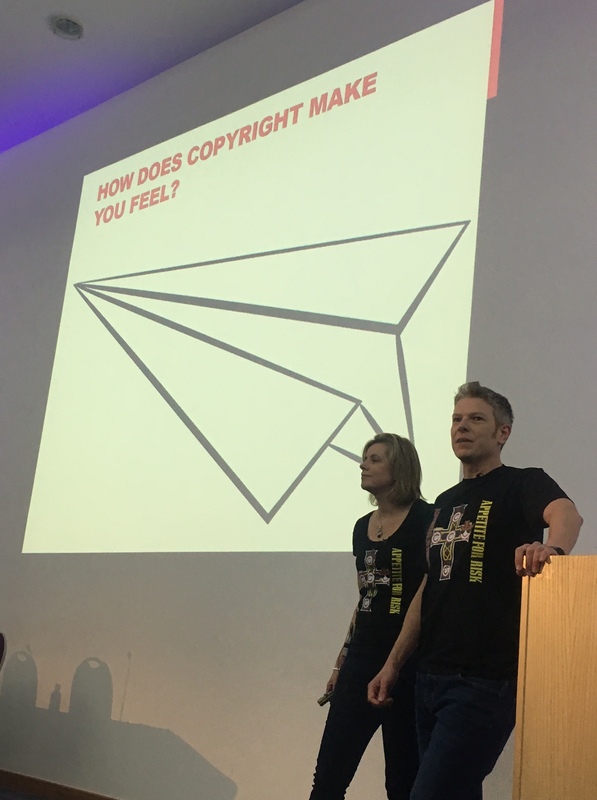 One of the key events in the UK copyright calendar for information professionals and those working in cultural heritage is the CILIP Copyright Conference (#CILIPCopy19) and we’re very excited to be presenting there again this year. The event takes place on Tuesday 2 April 2019 at the Hallam Conference Centre in London and is coordinated by copyright consultant Naomi Korn. This year’s programme is once again jam-packed with excellent speakers and the keynote from Dr Eleonora Rosati on copyright and Brexit promises to be a fascinating analysis of a complex subject by the leading expert on copyright and the CJEU (she has a book on it coming out soon). Other speakers include Alan Rae (© Here), Charles Oppenheim (library copyright legend), Aude Charillon (Newcastle Libraries), Alex Fenlon (University of Birmingham), Kate Vasili (Middlesex University), Claire Kidwell (Trinity Laban Conservatoire of Music and Dance) and Aidan McNeill (Art UK). Jane and I will be talking about the latest copyright developments in the UK higher education sector, including some findings from my recent masters research into educational exceptions and work we’ve done on use of collective licences on behalf of the UUK/GuildHE Copyright Negotiation and Advisory Commitee. Previous Icepops call for contributions – open until 4 February! Next Information Literacy and Open Access: two movements – one aim? Haha! Looking forward to seeing you in April.